This year at Kartell’s Milan flagship store, Kartell goes Sottsass, A Tribute to Memphis exhibits a previously unseen range of Memphis-inspired vases, stools, lamps and fabrics designed by Sottsass in 2004. 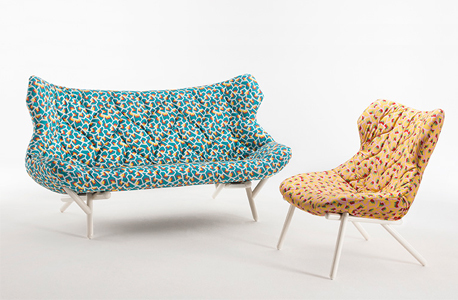 The space is transformed by the exuberant clash of Sotsass’ colourful prints, iterated across upholstered lounge and occasional seating by such luminary designers as Patricia Urquiola and Piero Lissoni. Eight previously unseen vases by Sotsass will be now manufactured by Kartell, following their launch at this year’s Salon del Mobile. 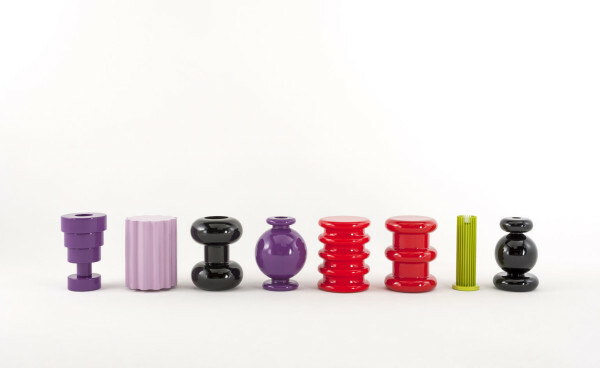 Kartell is a leading award-winning Italian design company founded by Giulio Castelli in 1949. The iconic brand has a prolific line of products, ranging from furniture to lighting and home accessories, admired in homes worldwide for their personality, and unique use of shape and colour. Kartell products are available exclusively in Australia through Space Furniture.